Polarquest reaches GlobalGiving Rewards Superstar status! We were thrilled to receive a number of wonderful accolades from GlobalGiving this past week. These reflect the support of our donors in 2018, making them not only our awards – but yours! 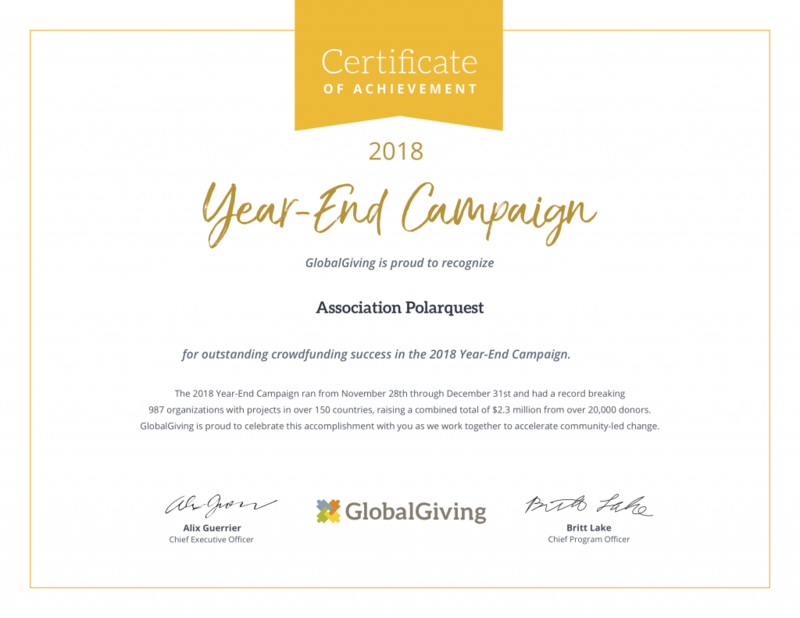 GlobalGiving named Association Polarquest a vetted, top-ranked organisation, actively engaged in the community in 2018! Polarquest is also an active member of the GlobalGiving community with a GG Rewards Superstar status. In recognition of these achievements, we were given the badges above to show off! 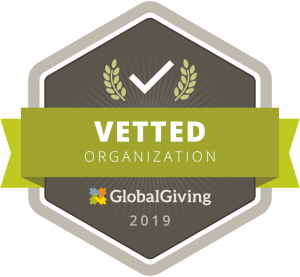 According to GlobalGiving, these badges aim to ensure that Polarquest “gain[s] the recognition that [it] deserve[s] as a trusted partner and change-maker in the world”! We were also thrilled to receive the GlobalGiving Staff Favorite badge! This is awarded to organisations selected by GlobalGiving staff as their favourite – a fantastic, personalised honour.